Is the former Cav and GOAT contender really worth this much? It’s official: LeBron James is taking his talents to north of Long Beach. After opting out of the remaining years on his contract with the Cleveland Cavaliers, James signed a four-year $153.3 million contract to follow in the footsteps of Magic Johnson, Jerry West and Kareem Abdul Jabar by becoming a Los Angeles Laker. Here’s a closer look at where LeBron’s net worth currently stands in the wake of his new deal with the Lakers and his pending move to one of the biggest sports and entertainment markets in the world. Click to read about former Lakers star Kobe Bryant’s net worth and career legacy. LeBron James currently has a net worth of $440 million, according to Celebrity Net Worth. 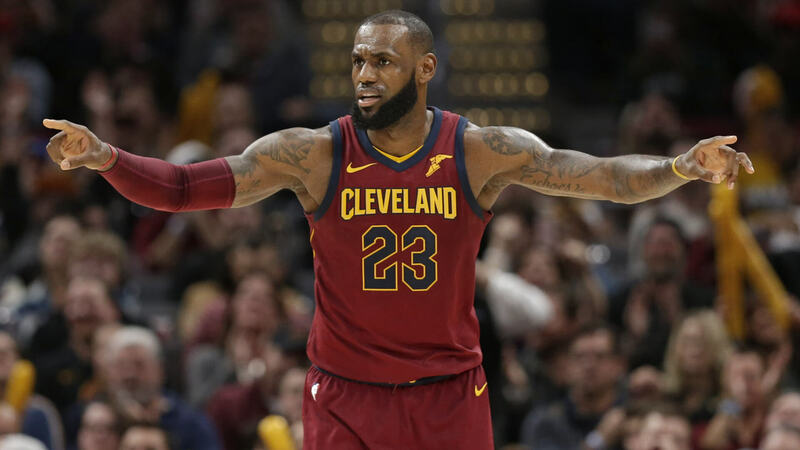 King James rather notably turned down money by signing with Los Angeles instead of Cleveland, where he could have signed a max contract of five years for $207 million — $41.4 million a season compared with $38.3 million annually in the Lakers deal he signed — due to NBA rules that allow teams with resigning players to offer more money than a new team. So why did LeBron turn down about $3 million a year to play for Los Angeles instead of Cleveland? A look at where his money is really coming from should provide more insight. LeBron was named the sixth-highest paid athlete of 2018 by Forbes with an annual income of $85.5 million, and just $33.5 million of that came from his salary with the Cavs. The other $52 million comes from lucrative endorsement deals. All told, LeBron has a career earning of $765 million from both playing basketball and endorsements, according to Forbes, and it appears as though LeBron will most likely continue out-earning his basketball career moving forward. In 2016, LeBron’s business partner confirmed that the lifetime endorsement deal with Nike that he signed at the end of the year prior would pay him more than $1 billion when all is said and done. Even after his new contract, though, LeBron is still a ways from being the world’s richest basketball player. Lakers President Magic Johnson — who played a key role in attracting James to LA — has a net worth of $600 million according to Celebrity Net Worth, and even he’s dwarfed by Michael Jordan’s net worth of $1.65 billion, per Forbes. James has been one of the most visible basketball players in the world since well before his 18th birthday, winning Ohio’s Mr. Basketball and the state championship three times with Akron’s St. Vincent-St. Mary High School and appearing on the cover of Sports Illustrated when he was still just a junior in High School. He would land in Cleveland when they won the lottery for the first overall pick in the 2003 NBA draft and would lead the team in scoring, steals and minutes the next season en route to winning Rookie of the Year. And since his arrival, James has established himself as one of the premier basketball stars of all time, putting together a truly astonishing resume in his 15 seasons prior to signing with the Lakers, including winning the MVP award four times, NBA Finals MVP on three occasions, being named to the NBA All-Defensive team six times, and been named to the NBA All-Star team 14 times. He also currently ranks fourth all time for points scored per game with 27.15, trailing just Michael Jordan, Wilt Chamberlain and Elgin Baylor — and perhaps most impressively — James has appeared in the NBA Finals eight straight times from 2010 to 2018, winning three. Welcome to the family @KingJames #lakers4life #striveforgreatness @JeanieBuss @MagicJohnson and RP well done!!! ???????? In addition to his success in the NBA, James was also a member of the bronze medal-winning U.S. Men’s Basketball team at the 2004 games in Athens, and he returned with the U.S. team to win gold medals in Bejing in 2008 and London in 2012. Born in Akron on December 30, 1984, LeBron James’ age when he signed his new contract with the Lakers was just 33 years old. LeBron James’ wife Savannah is his high school sweetheart whom he famously took to a first date at Outback Steak House well before his NBA fame. Today, after some 15 years together, the couple has three children: LeBron Jr., Bryce and Zhuri. And the move to Los Angeles might not wind up being all that difficult for the James crew: In addition to the mansion they own in Akron, they recently purchased a second home in Los Angeles for $23 million, the Los Angeles Times reported. Click to keep reading about Allen Iverson and other NBA stars who wasted their fortunes. Playing sports on a screen could earn you a gold medal.